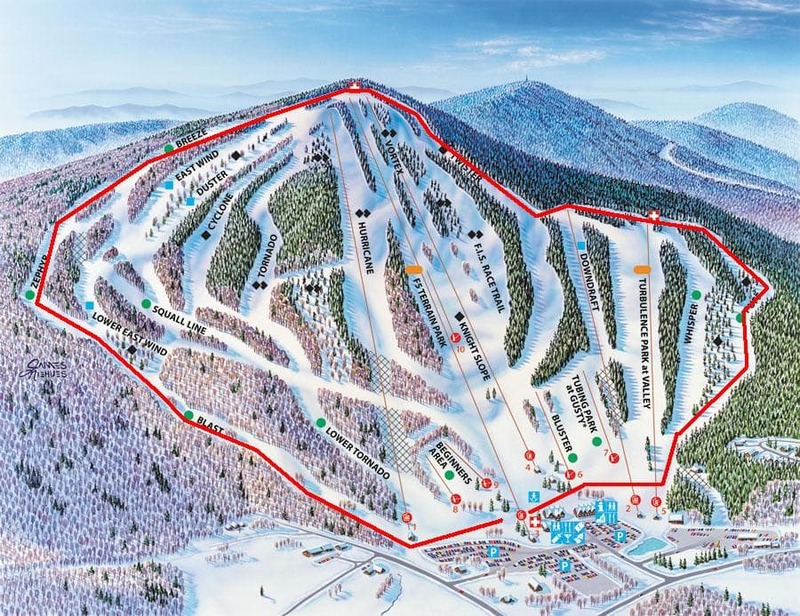 Pats Peak, NH, operated and locally owned by the same family for over 55 years, has just announced their 2018-2019 capital improvement. Their continued support and investment in the mountain have allowed them to continue to make improvements to enhance the guest experience. Pats Peak has been all about the local before local was cool again. “You can only consistently count on Mother Nature for one thing: inconsistency! Since New England weather can be challenging exceptional snowmaking capacity is a priority for us. Our committed ownership allows us to continue to invest in the very best products,” commented General Manager, Kris Blomback. This year’s list of capital improvements for the 2018-2019 season includes a snowmaking compressor, additional energy-efficient snowmaking fan guns and towers, snowmaking powerline upgrade, new rental equipment and continuing lodge expansion construction. Another layer of protection has been installed against Mother Nature’s fickle ways. This new compressor will boost the air plant by an impressive 20% allowing even more snow guns to run at warmer temperatures. Pats Peak continues to increase their snowmaking capabilities by adding to an arsenal that already gives the mountain 100% snow coverage. This season four new fans from SMI Snowmakers and 20 new towers will greet customers. Pats Peak was one of the first ski areas in New Hampshire to offer snowmaking and continues today to be a ski industry leader. This new power line will deliver power to the snow guns like never before. More water will be converted faster and more efficiently than ever before. “We have added an enormous amount of snowmaking capacity over the past years and this year will make our snowmaking system even better with new snow guns and an upgraded power line will allow us to operate more at any given time”, says Blomback. Every season the rental shop receives new inventory to keep the equipment in great shape. This year new super comfortable ski boots will be available with some of the most cutting-edge ski technology that Elan has ever produced. The 9,600 square foot Starting Gate Rental Shop is Northern New England’s largest rental shop. The Shop will continue to provide fast service to renters with its self-service check-in service, where renter information is stored to make each rental process quicker. This allows skiers and riders out on the slopes even faster. The center A-frame that makes up the main base lodge will be under construction this season with work being done on the foundation and the underground utilities. Summer 2019 is when more of the work will continue to add onto the lodge. This expansion will feature an all new post and beam entrance, brand new bathrooms, an elevator, and additional seating and more. 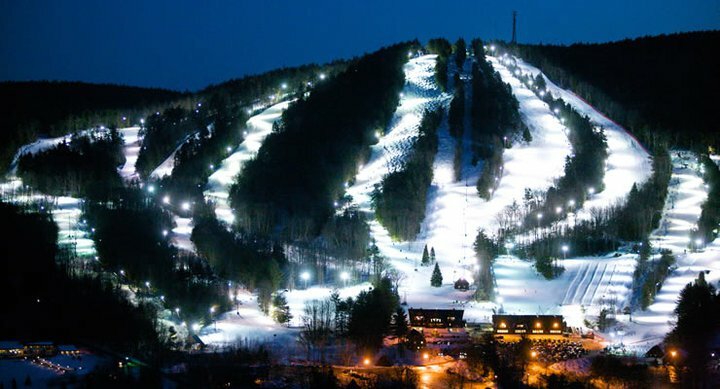 Pats Peak is an independent ski resort located in Henniker, New Hampshire. The ski area opened in 1963 and has a vertical drop of 770-feet over its 103-acres. Its summit is at 1,460-feet. It is roughly a 90-minute drive from Boston, Massachusetts.